This hearty and delicious Chile Rellenos Breakfast Casserole is perfect for Sunday brunch or a relaxing weekend breakfast! This version includes seared skirt steak, which is an homage to one of our favorite versions of this traditional dish! 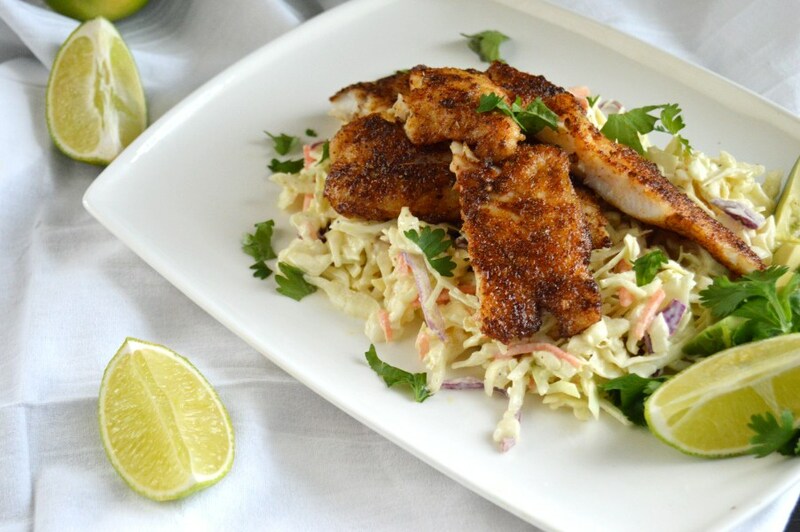 Full of incredible authentic Tex-Mex flavor, this low carb dish is a definite crowd pleaser! Tequila Lime Chicken Wings are a fun and easy twist on the traditional chicken wing! Great for game day or a quick weeknight meal, these spiced up, caramelized, flavor packed wings are sure to become a new family favorite! Southwest Corn Chowder is exactly what you need to warm you up on a cool Spring night… a creamy, hearty soup packed with spicy Southwest flare. 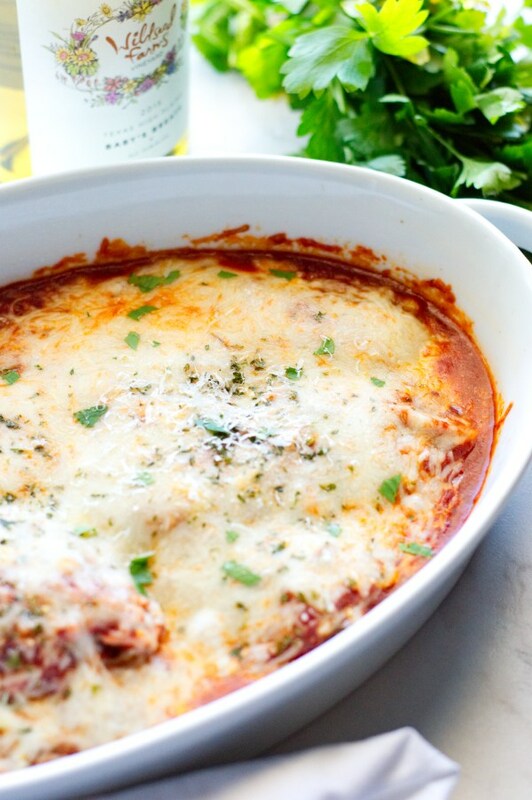 This quick and easy one pot wonder is great for a comforting weeknight meal! Oven Beef Stew is a family favorite and a gluten free version of a comfort food classic! This hearty beef stew is cooked almost entirely in the oven resulting in insanely tender beef and effortless home cooking. We are obsessed with roasted cauliflower around here! It’s a quick, easy and tasty keto and low carb side dish options! There is something magical that happens when you roast cauliflower florets…they transform into succulent, nutty caramelized nuggets of yumminess with a hint of buttery sweetness. All that to say that roasted cauliflower is amazingly good and so easy! If you haven’t tried it, now is the time cause I guarantee you will never think of cauliflower the same way again! In my book, Italian food is one of the ultimate comfort foods, but for me it was never about the pasta and so much more about the amazing, savory, sauces and of course the cheesiness! Honestly, living a low carb or keto lifestyle, I think Italian food is one of the easiest types of dishes to put together and this Italian Sausage Casserole with Eggplant is no exception! If you’re a chocolate lover, this is the dessert for you! Rich and intensely chocolatey, this indulgent little dessert gets a spicy Tex- Mex kick from the addition of chili powder and cayenne. Perfect for any special occasion! These stuffed peppers are pretty enough to entertain with and easy enough for a busy weeknight dinner! 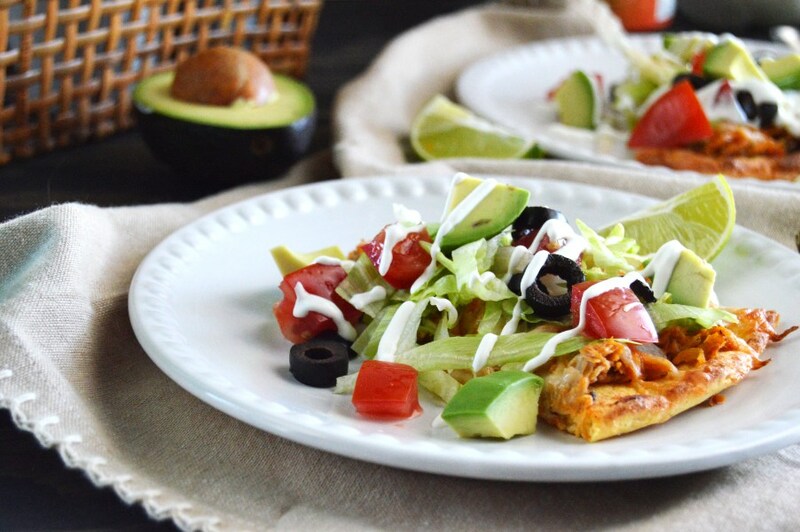 Packed with spicy Mexican flare, this delicious dinner will soon become a family favorite! If your looking for an unforgettable, show stopping appetizer for your New Years celebration, look no further. These Cajun Smoked Bacon Wrapped Shrimp are going to ensure you kick off the new year with a bang! Sweet tender shrimp stuffed with jalapeno, wrapped in bacon, smoked and topped with gooey pepper jack cheese…these morsels are a flavor explosion! Add in the Cranberry Horseradish Dipping Sauce….INSANE! Low Carb, Keto Friendly, Gluten Free! Blackened Venison Tenderloin & Spicy Brussels Sprouts with Cajun Cream Sauce is an absolute show stopper! 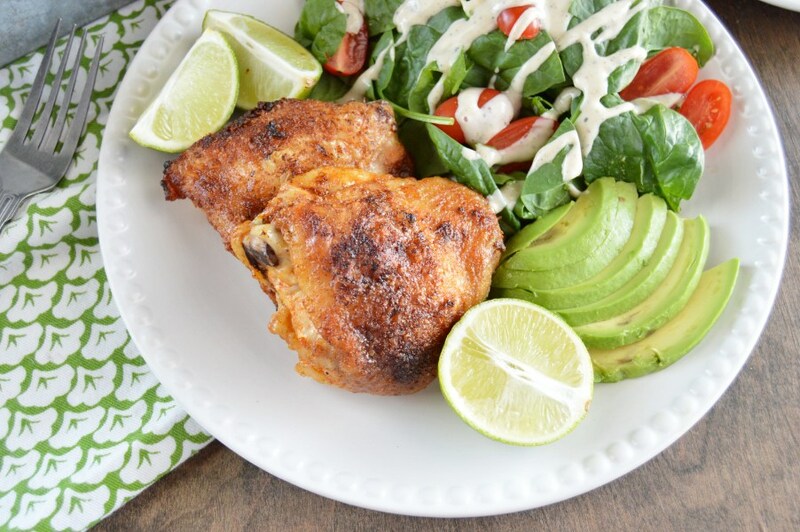 Perfect for a weeknight meal or to entertain, this flavor packed low carb and keto friendly meal can be on the table in under an hour This is one amazing meal that no one will be able to stop talking about! All you venison lovers out there… this one’s for you! If you have a freezer full of venison you don’t know what to do with…listen up. This is life changing. 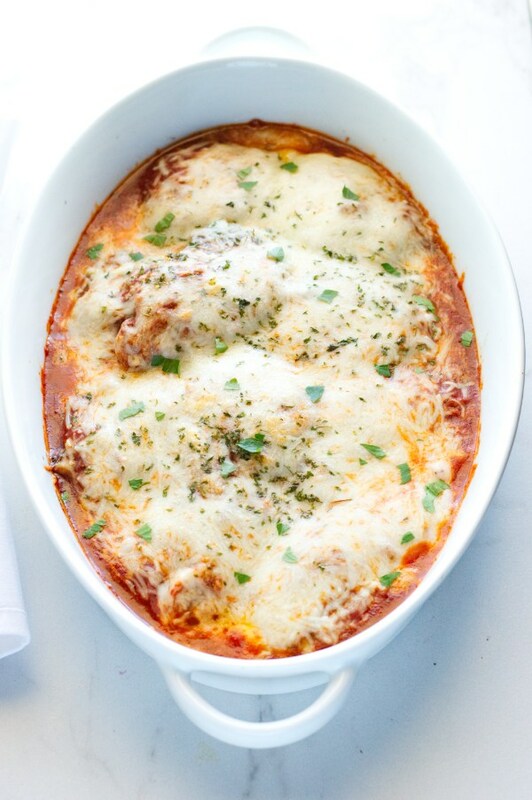 Quick & easy Texas style Venison Parmesan puts a Texas spin on a classic Italian dish…and better yet it’s low carb, keto friendly, gluten free and insanely delish. Fork tender pieces of venison loin coated with Parmesan cheese, pan fried until crispy and covered in a simple, spicy tomato sauce topped with melty mozzarella and baked to ooey gooey Parmesan perfection. Ya’ll, I have been eating venison for over 20 years…why I have never thought to do this before is beyond me but I can tell you…this dish is INCREDIBLE. If you think venison is just for chili and fried back-strap, prepare yourself…because this dish is next level delish! It’s rare that I am full at the end of a photo shoot…but this one did me in. This Venison Parmesan is one of those dishes that I just can’t help my myself around. It’s like “eyes rolling in the back of your head” good. Anything “Parmesan” has been a long time love of mine. Eggplant, chicken, veal…you name it…I’m in. Even without the pasta, Italian food is one of my favorite things…it has such depth and soul to it….it’s my ultimate comfort food. Am I alone here? I didn’t think so! 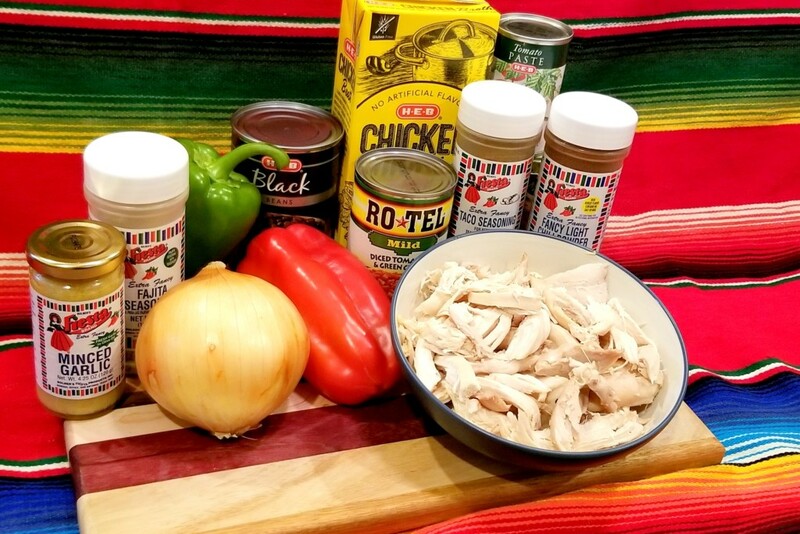 Alamo City Moms Blog is happy to partner with Bolner’s Fiesta Brand to share a delicious soup recipe. This is a sponsored post. Chicken tortilla soup: the ultimate comfort food. If you are anything like us, the time between Thanksgiving and Christmas feels like a blur. The kiddos are gearing up for winter break, travel plans are being made for the holidays, and hiding unwrapped holiday gifts feels like an Olympic Sport. Between school holiday programs and impending Christmas work parties, weekly meal planning has become a low priority. Adding new recipes to your tried-and-true staples can be risky business, especially when you have littles. However, chicken tortilla soup is a wonderful classic comfort food for the cooler weather, and this recipe can give you leftovers that are even better the next day! The simple ingredients paired with Bolner’s Fiesta Brand® Seasonings lead way to delicious Mexican flavors, guaranteed to hit the spot after a long day of present-hiding and child-wrangling. Whether you enjoy cooking on the stove, in your old friend the crock pot, or in your new bestie the InstantPot, this hearty chicken tortilla soup recipe has been mom tested and kid approved! De-bone and shred rotisserie chicken and set aside. In 1 Tbsp. of oil, sauté onions and bell peppers until softened, about 5 minutes. Add garlic and spices and stir until aromatic, about 1 minute. Stir in de-boned chicken, black beans, Rotel tomatoes, tomato paste, and chicken stock. Bring the soup to a boil, and then simmer for about 45 minutes, stirring occasionally. Add water if needed, and season to taste. Prior to serving, gently stir in tortilla strips, or serve with chips. Garnish with your favorite toppings, and enjoy! Bolner’s tip: For the perfect guacamole, mash up avocados and sprinkle in our secret ingredient, Fajita Seasoning, for a delicious topping that everyone will enjoy! Lately, I have been trying to meal prep a few more weekly lunch options. I have been noticing that Maddie and the Cowboy often skip breakfast so when they come in for lunch they are just ravenous! Well, sandwiches and lettuce wraps only go so far around here and it’s great to have ready to go options in the fridge. This week Bayou Shrimp Salad is it! 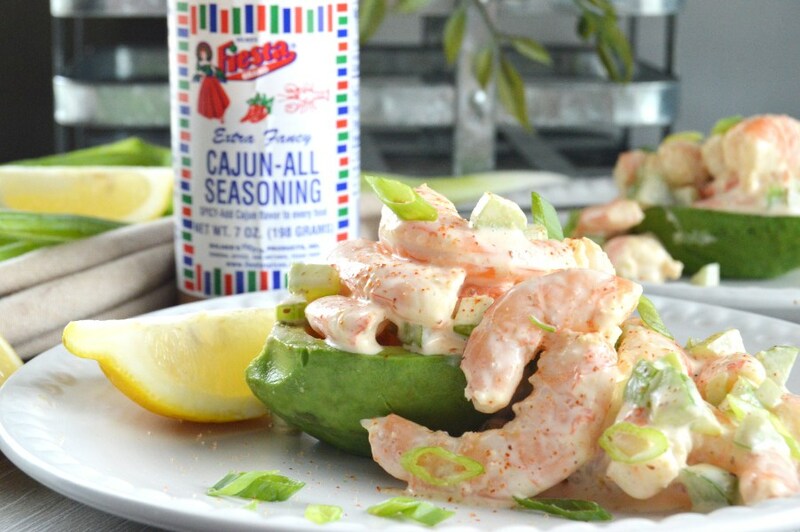 Tender, sweet shrimp in a spicy, Cajun style sauce served up in an avocado boat… it’s the perfect mix of textures and a new, cool option for these warm days leading into Fall! One bite and your won’t be able to stop! One of our favorite things to do as a family is go to the coast and fish! Since we moved up to the Ranch, we don’t make it down to the coast as much as we’d like but thank goodness for family and friends that supply us with our Redfish! It’s about that time of year that Redfish are running hard… I know because its a frequent topic of conversation these days with the Cowboy, sparked from seeing all the pictures of his friends catches! Venison Stroganoff is my idea of the perfect comfort food! Hearty, stick to your ribs, full of amazing flavor, comfort food. 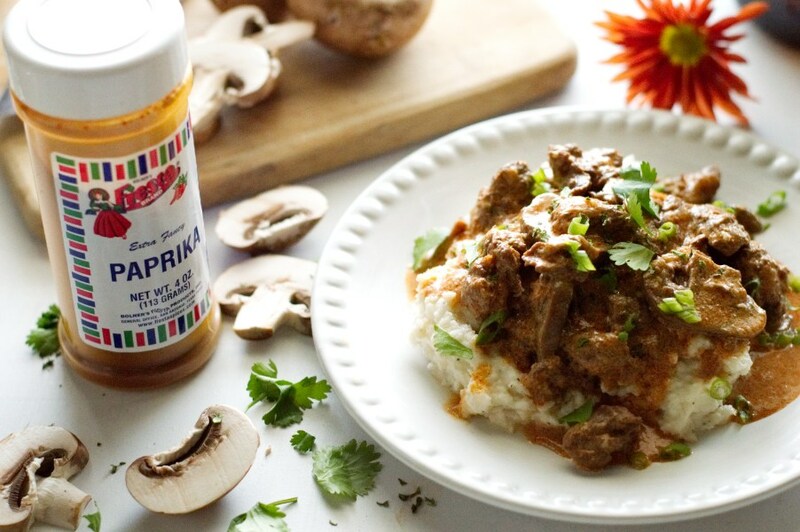 This version uses venison instead of the usual beef but still has all of the amazing flavors of a traditional stroganoff! Perfectly low carb, keto friendly and gluten free…served over a bed of mashed turnips… absolute HEAVEN! Our family loves pizza night, we all have our favorite toppings and even our favorite crusts…but sometimes on pizza night we are want something a little out of the box. Tex-Mex Chicken Taco Pizza is one of our favorite pizza creations! This Chicken Taco Pizza combines our love of our two favorite things…tacos and pizza. It’s piled with all of our yummy taco toppings and a spiced up shredded chicken that will blow your mind! Best part…it’s super simple to make, great for meal prep and the whole family, low carb or not, will go crazy for it! Baked chicken thighs are a favorite weeknight meal around here…super quick, easy to prepare and so tasty! When it the day gets hectic, it’s great to know that while everyone is showering and cleaning up for the evening, I have dinner in the oven working away! Pico de Gallo Crispy Chicken Thighs put a delicious Tex-Mex spin on one of our favorite weeknight meals! Perfectly crispy and juicy, this chicken is packed with all of the flavors of pico de gallo… chilis and garlic, livened up with a little spicy kick and a hint of lime… delicioso! Tired of the same dinners week after week? 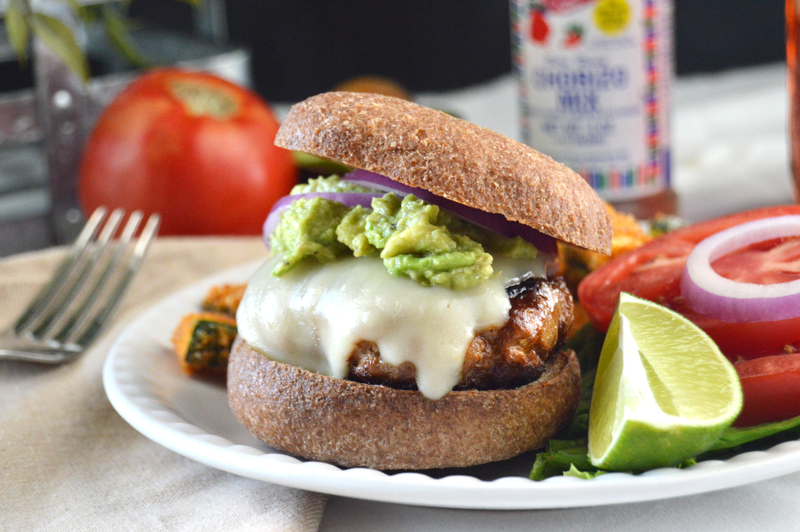 Spice up things up with Loaded Chorizo Burgers! The weather is finally cooling off a bit and we got a good amount of rain last week around here which we needed desperately! Things are finally starting to green up! For me, this is perfect burger weather! Now, burgers are one of my go to meals, especially if we are going out to eat. I know a bunless burger is typically a really safe bet when eating out…sub salad for the fries and voila! I also prep burger patties ahead of time and keep them in the fridge or freezer to eat throughout the week…I pile the toppings on depending on what mood I’m in!! But I have to admit that even I sometimes get bored with the traditional burger no matter how I top it! Enter the Loaded Chorizo Burger. A juicy pork and beef patty spiced up with Mexican flare topped with gooey cheese, creamy avocado and cilantro lime crema!